The sternum is a bone in the thorax. 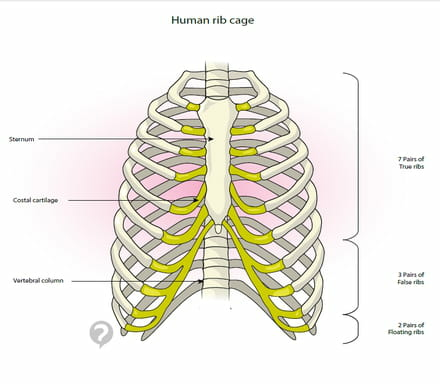 It is a flat bone positioned vertically in the middle of the thoracic cage. 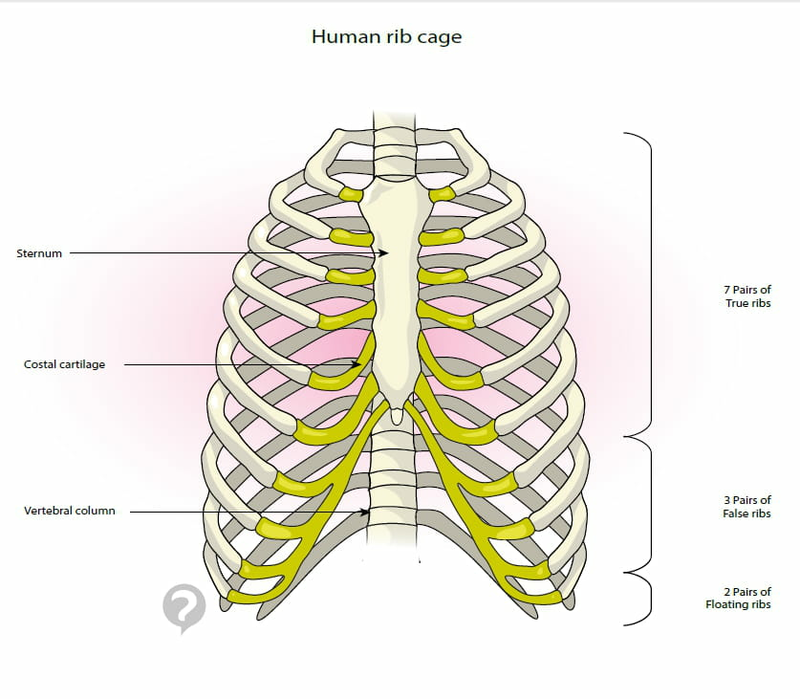 The first pairs of ribs are attached to the sternum symmetrically on each side. The sternum is composed of three main elements: the manubrium at the top joining with the clavicles and two first ribs; the body of the sternum supporting the next five pairs of ribs; and the xiphoid process, which ends in a point at the bottom of the sternum. Original article published by Jean-François Pillou. Translated by Jean-François Pillou. Latest update on August 19, 2014 at 12:33 PM by christelle.b. This document, titled "Sternum - Definition," is available under the Creative Commons license. Any copy, reuse, or modification of the content should be sufficiently credited to CCM Health (health.ccm.net).